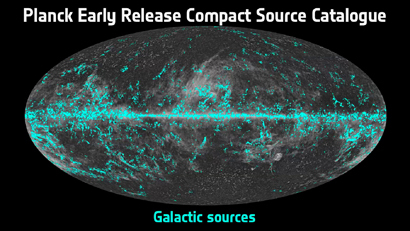 This image illustrates the position on the sky of all galactic sources detected by Planck during its first all-sky survey and listed in the Early Release Compact Source Catalogue (ERCSC). 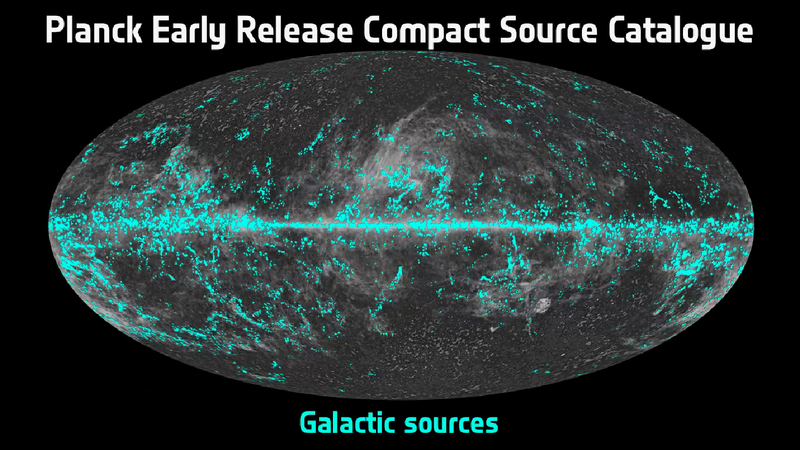 This sample of compact sources includes features in the galactic interstellar medium, cold molecular cloud cores, and stars with dust shells. In particular, a dedicated resource, the Early Cold Cores Catalogue, comprising 915 molecular cloud cores with temperature cooler than 14 Kelvin, has been made publicly available along with the ERCSC.